Driving from Świdnica down the road no 382 towards Strzegom, after traveling 9 km you ought to turn right for Jaworzyna Śląska. From there you must arrive in Piotrowice Świdnickie, and next to Pastuchów. 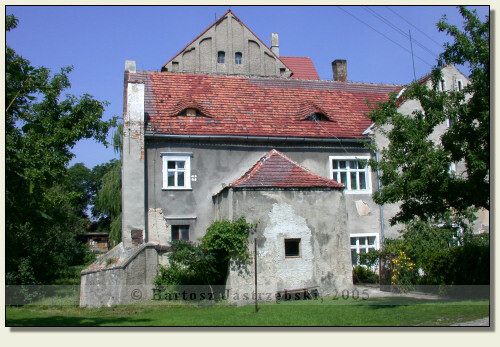 Having reached Pastuchów, you need to drive all the time down the main road through the village and drive past the turn to Skarżyce. Just beyond it, on the right side of the road, behind the wall stands the tower of the castle. 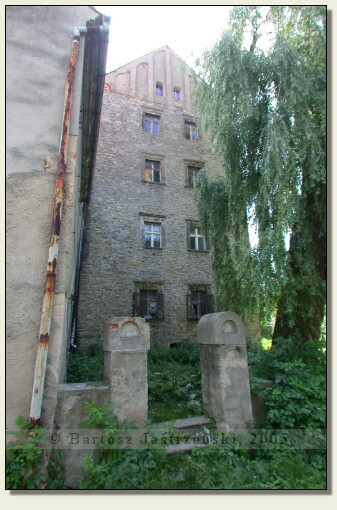 The history of the castle in Pastuchów is unknown. Originally the village belonged to Augustinians, and after 1260 became the private property. The residential tower existent there up to this day, arose the most probably in the first half of the XVIth cent. as the residence of the house of von Kalkreuth. Not long after the manor and farm buildings were raised beside. 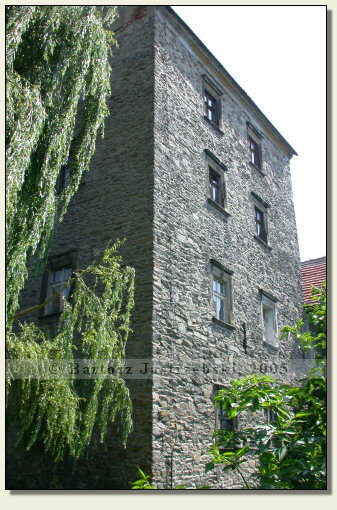 In the years of 1835-1945 the tower together with buildings belonged to the family of von Kramsta and von Wietersheim-Kramsta. At present private apartments have their place there.